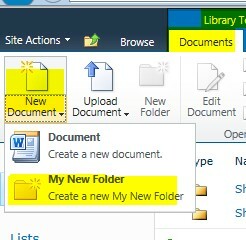 In SharePoint, we can create a document library to store documents. 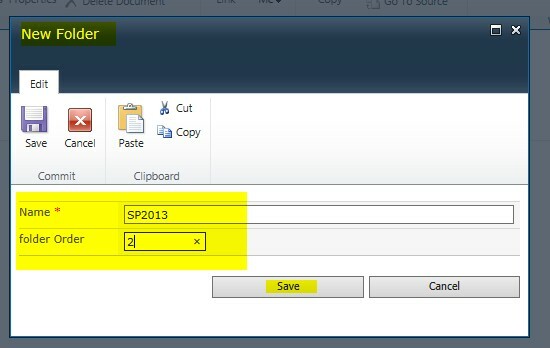 And to organize documents we can create folders inside a document library in SharePoint 2013 or SharePoint 2016 or SharePoint Online. 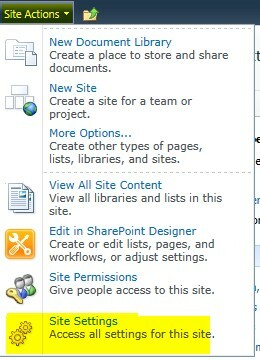 Recently while working in a SharePoint 2010 application, we created a document library in SharePoint and created various folders inside it. 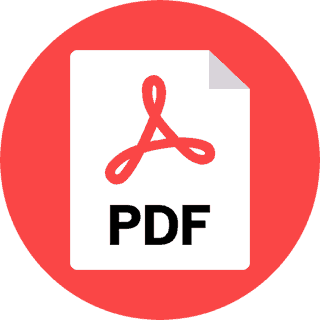 Now as per the requirement we need to sort folders in the document library. 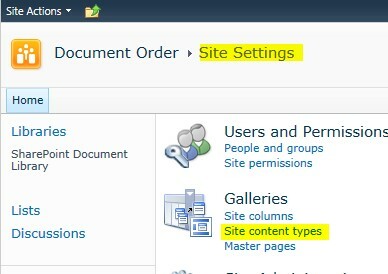 Here we will discuss how we can sort SharePoint 2010 document library folders. 3. Now click on Create and give the name, what you want. 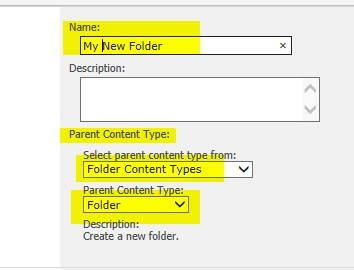 In Parent content type = “folder content type” and then “folder”. See in fig. 10. 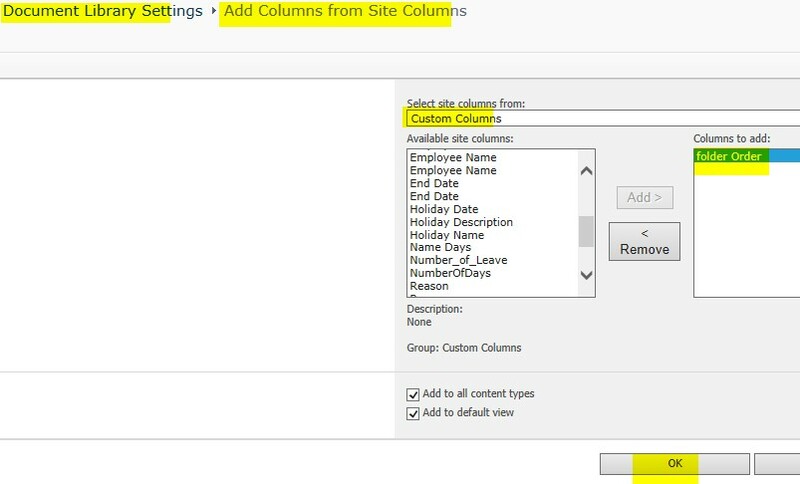 Now add the column with the order. See in fig. 11. 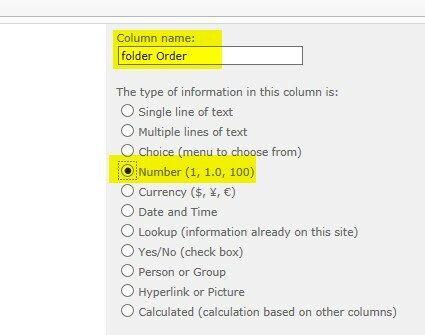 Now see the folder structure before the sort order. 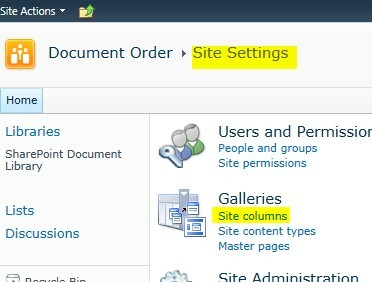 Here we discussed how to sort folders in SharePoint document library. 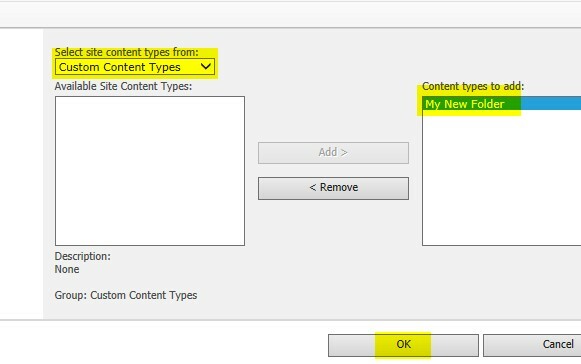 The same way we can sort folders in SharePoint 2010 document library, sort folders in SharePoint 2013 document library, sort folders in SharePoint 2016 document library or sort folders in SharePoint online document library.